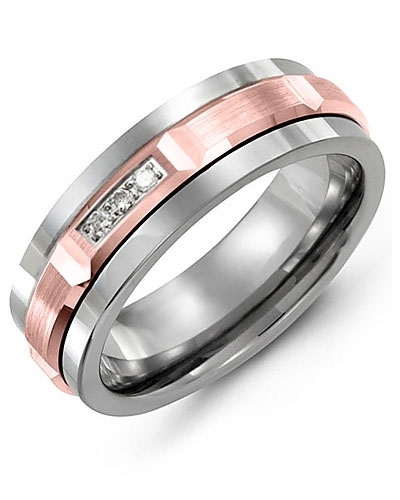 MDM - Beveled Trio Diamond Wedding Band This 7mm Men’s Beveled Trio Diamond Wedding Band​ is a popular choice for engagements, weddings and anniversaries. 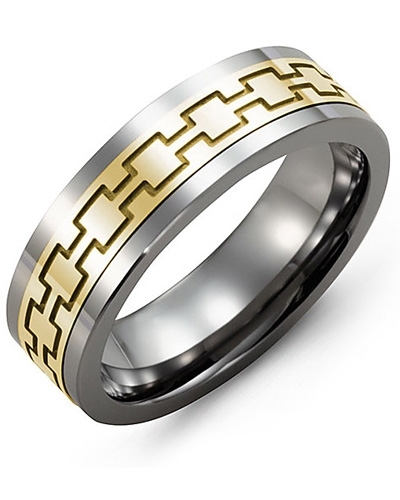 The modern ceramic ring, cobalt ring, or tungsten ring features a beveled brushed gold insert and three channel settings each with a trio of diamonds, for a total carat weight of 0.06ct. 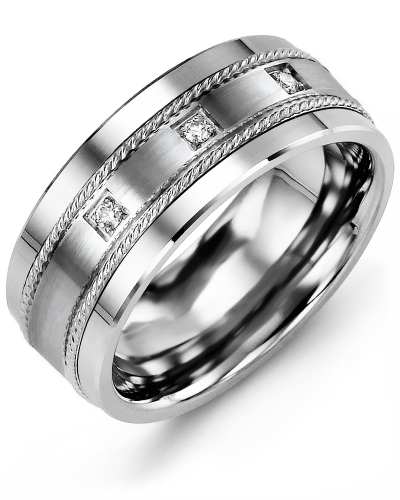 You can utilize our engraving service to create something truly unique. 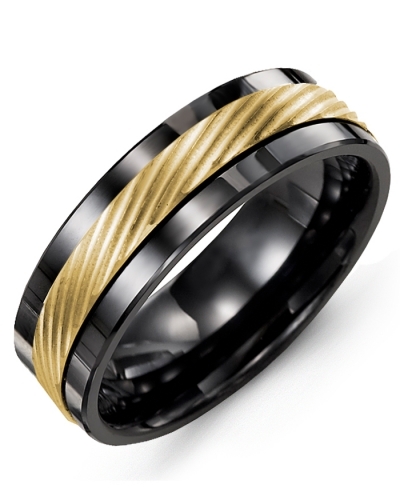 It is available in various gold karat, width, and color options. 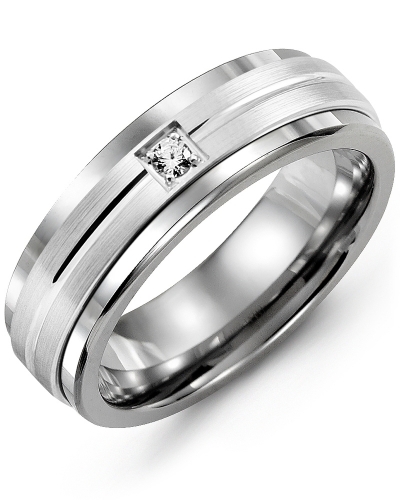 This 7mm Men’s Beveled Trio Diamond Wedding Band​ is a popular choice for engagements, weddings and anniversaries. 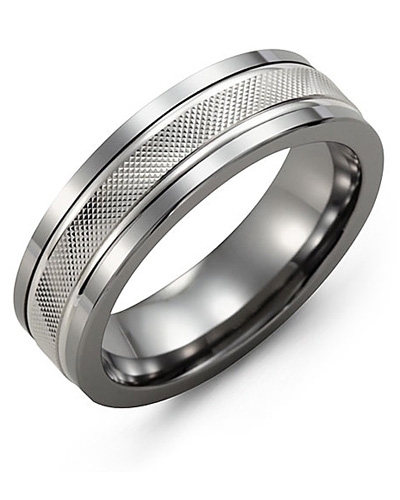 The modern ceramic ring, cobalt ring, or tungsten ring features a beveled brushed gold insert and three channel settings each with a trio of diamonds, for a total carat weight of 0.06ct. You can utilize our engraving service to create something truly unique. It is available in various gold karat, width, and color options.